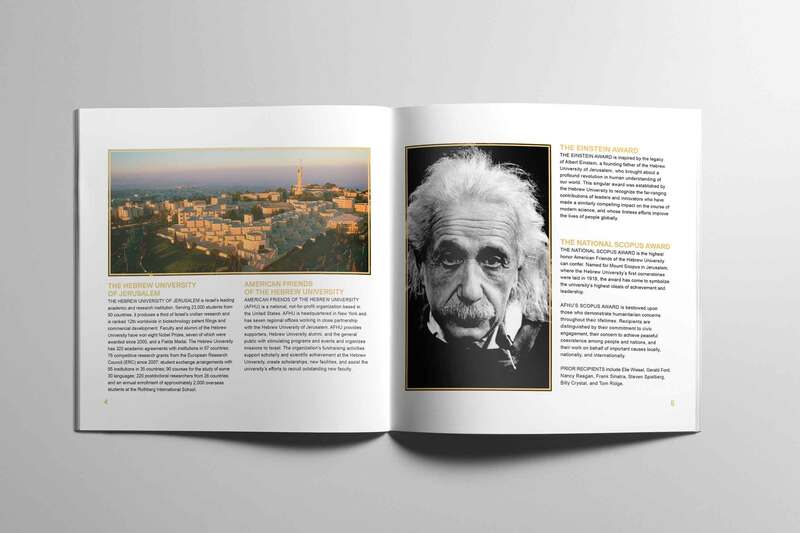 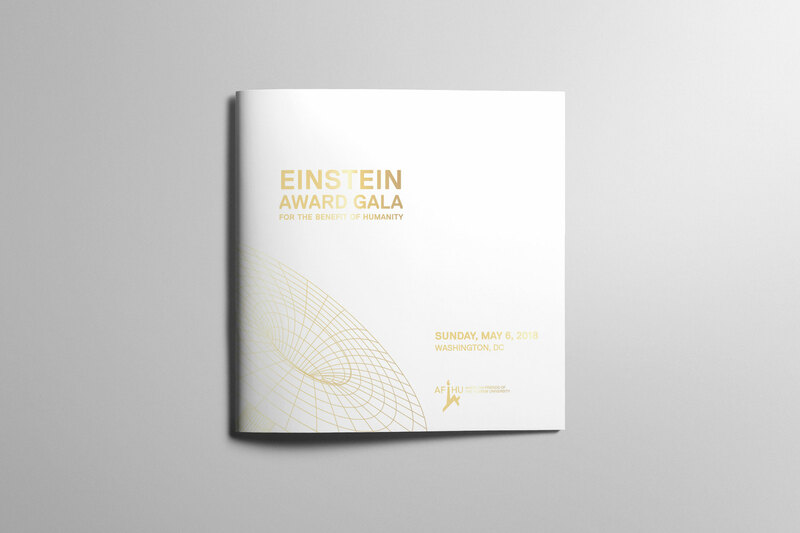 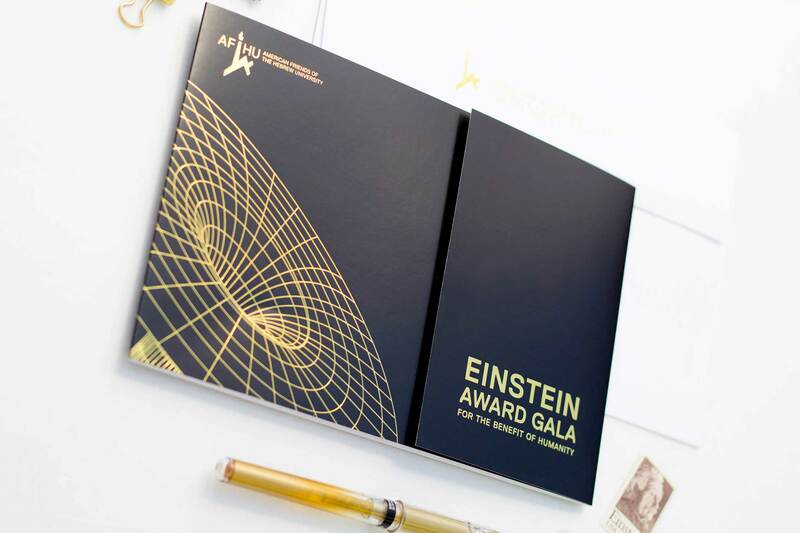 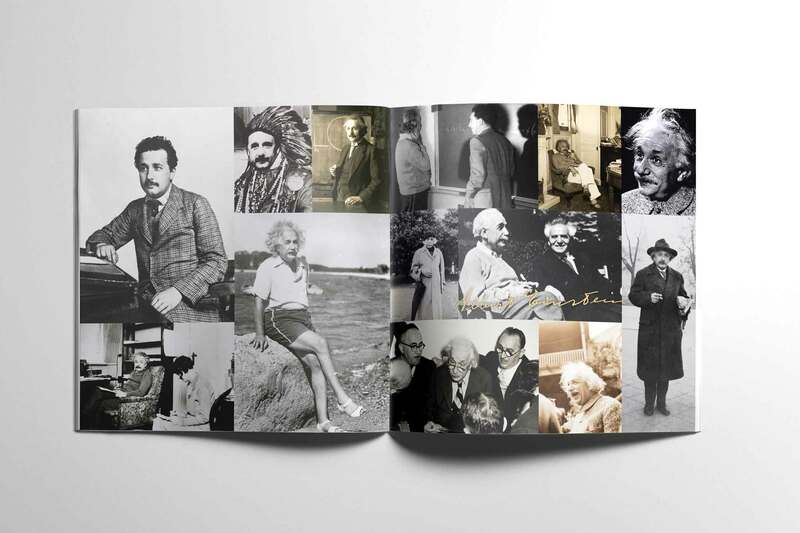 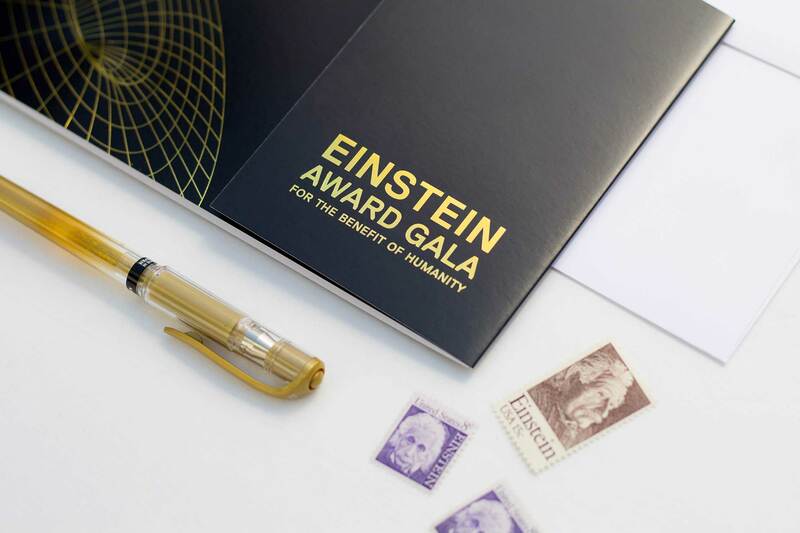 The Einstein Award was established by the American Friends of the Hebrew University to recognize the far-ranging contributions of leaders and innovators who have made a similarly compelling impact on the course of modern science, and whose tireless efforts improve the lives of people globally. 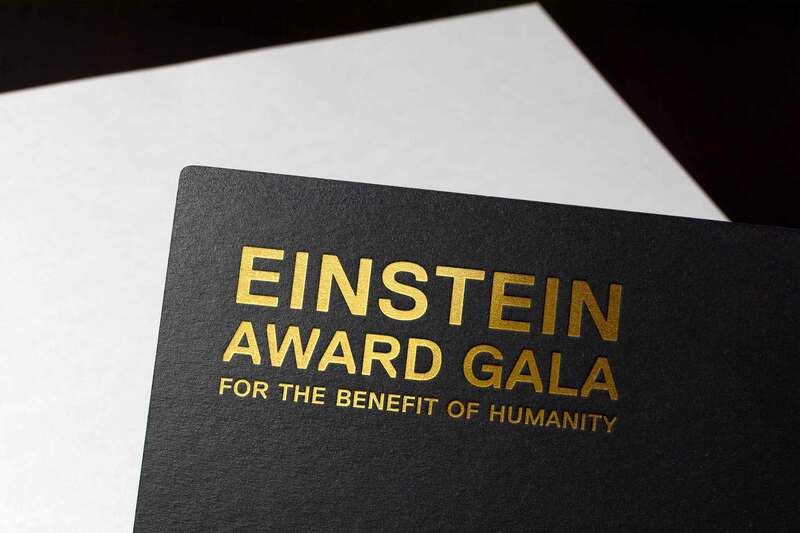 The only past winner of this prestigious award is Bill Gates. 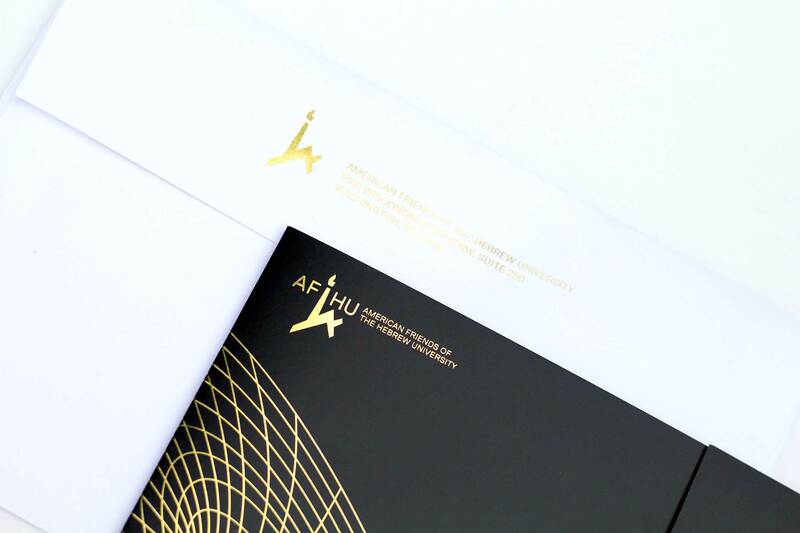 AFHU reached out to me because they were looking for a specific type of branding that would combine science, medicine and academia but the look and feel needed to be elegant and celebratory. 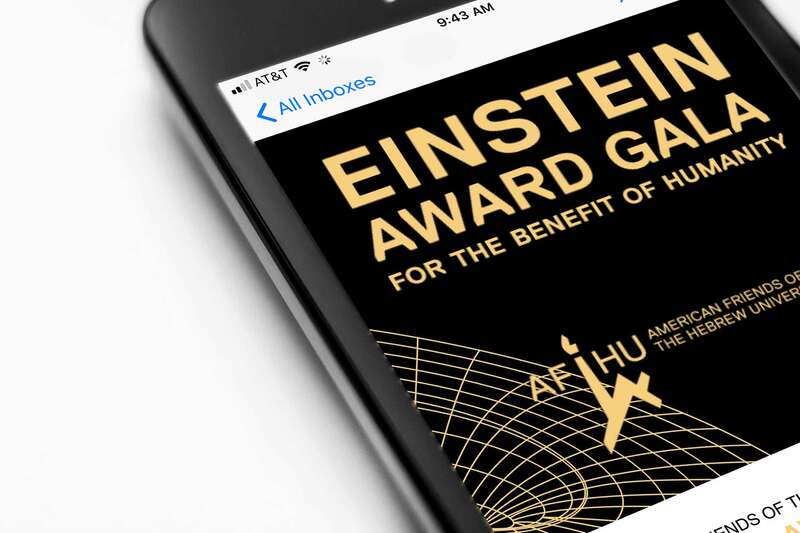 I was inspired by AFHU’s description of Einstein’s commitment to human progress and his dissemination of knowledge being “for the benefit of humanity.” I used that phrase as the subtitle and tagline for the event. 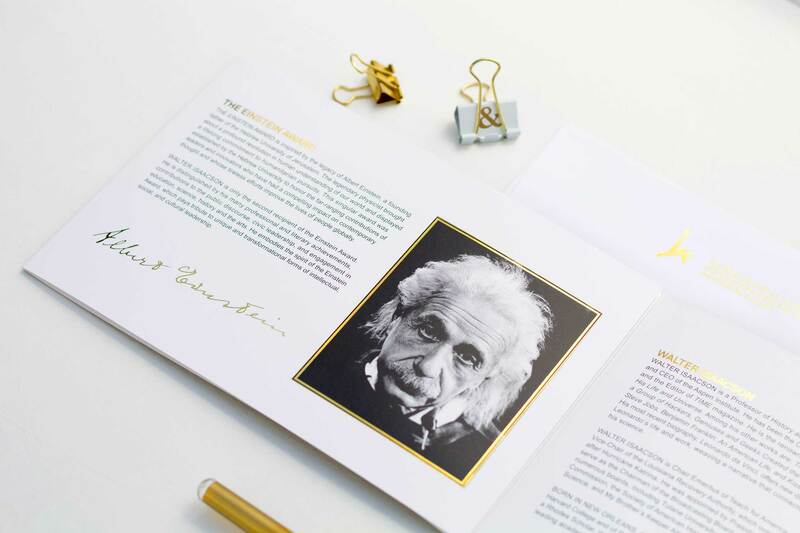 I was also inspired by Einstein’s theory of relativity which provides the foundation for the current understanding of black holes, symbolizing how his work influenced future astrophysicists’ investigations. 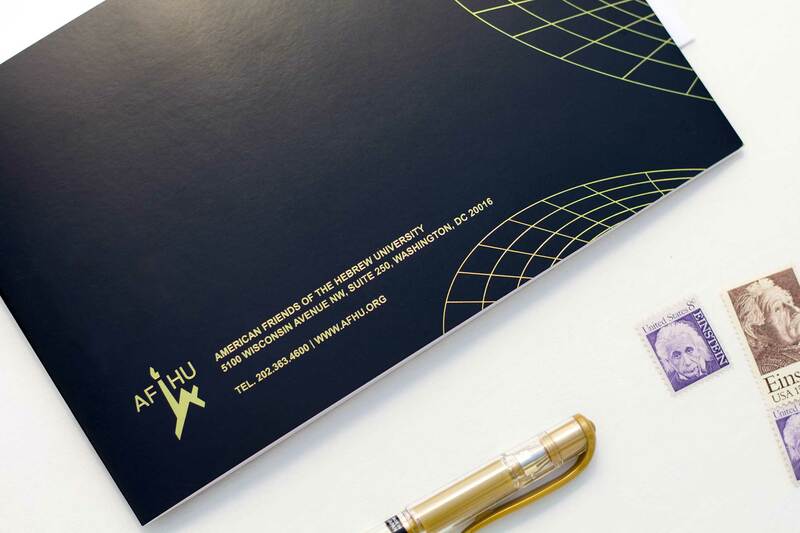 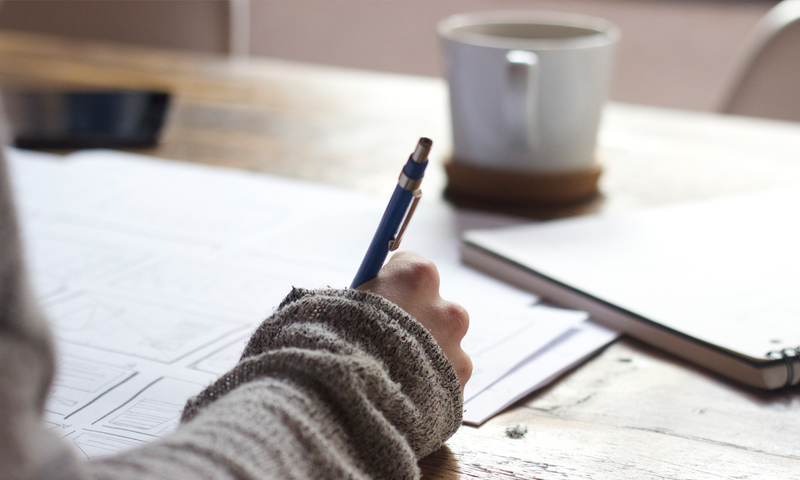 When working with clients, I always present fully fleshed out branding packages which, in this case, included the save the date, invitation, response card and envelopes. 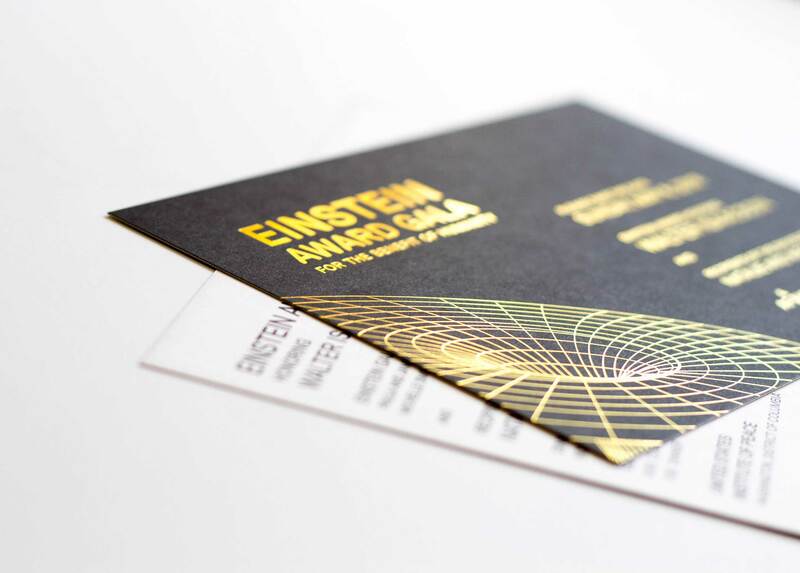 We sent a save the date postcard that set the tone with a lush gold foil black hole illustration set against crisp black creating a striking “spacey” backdrop. 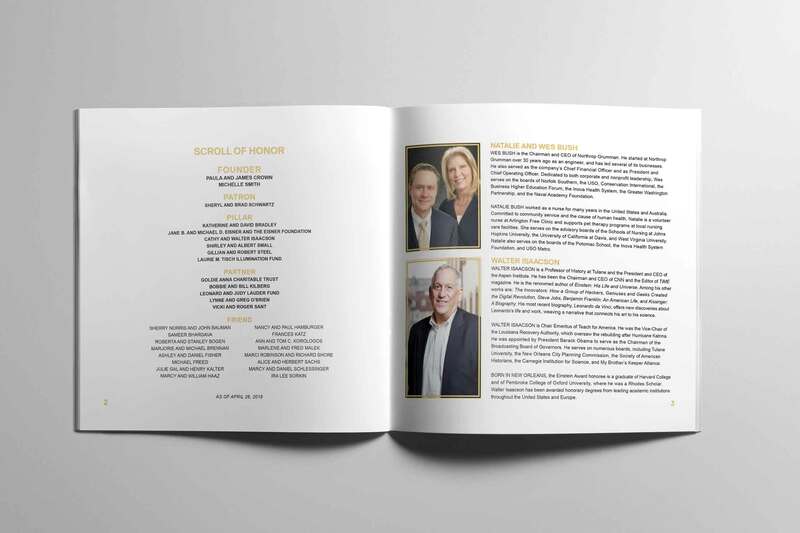 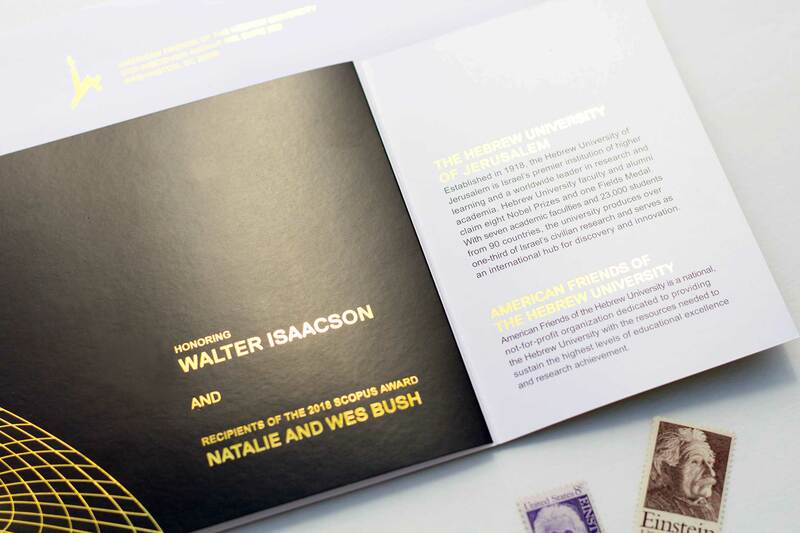 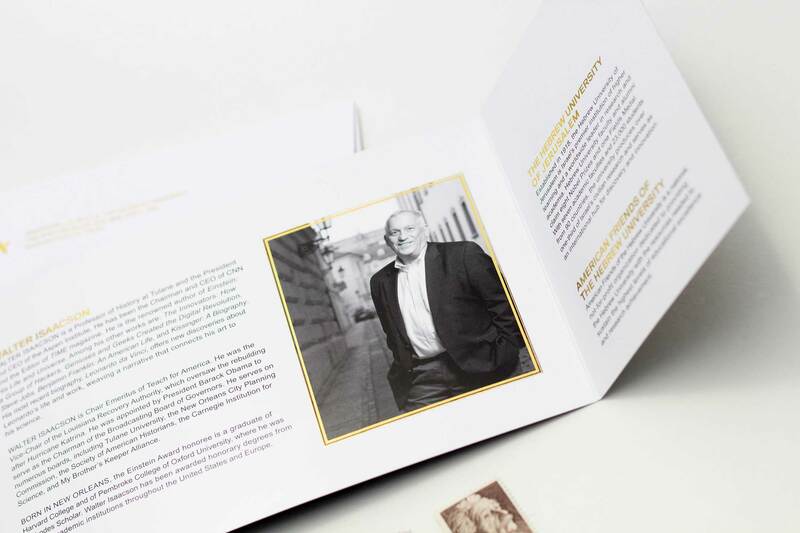 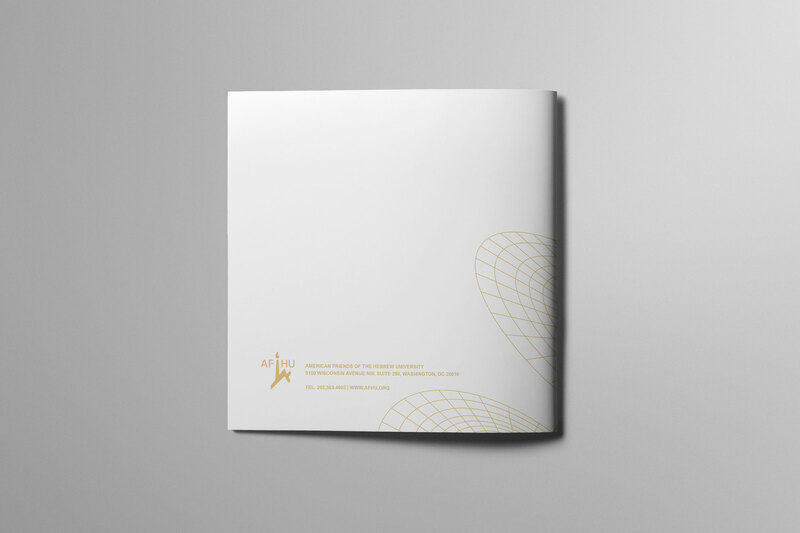 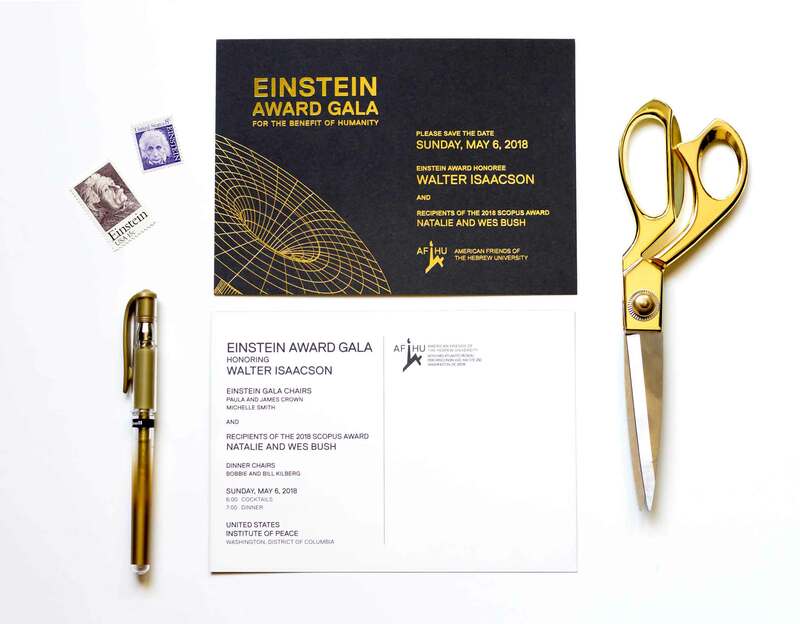 With the same luxurious gold foil and deep black, the invitation was designed with a unique flap that, when opened, revealed the honorees, as well as information about the university and the American non-profit organization. 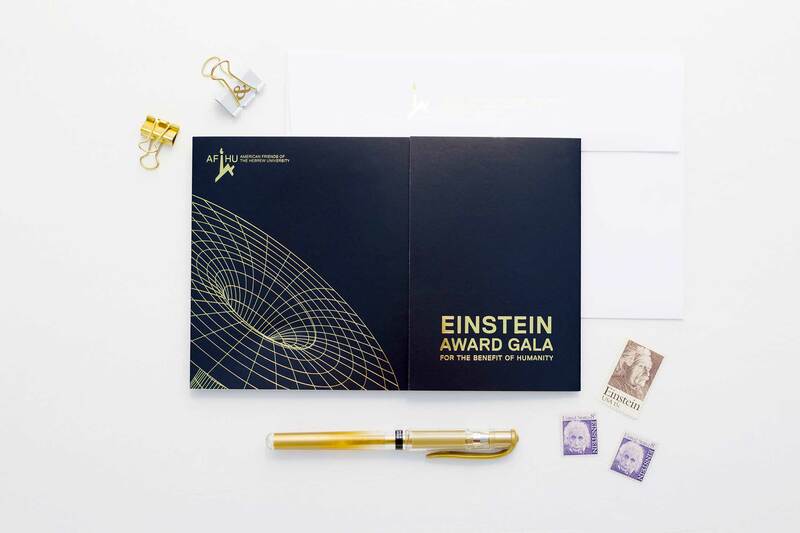 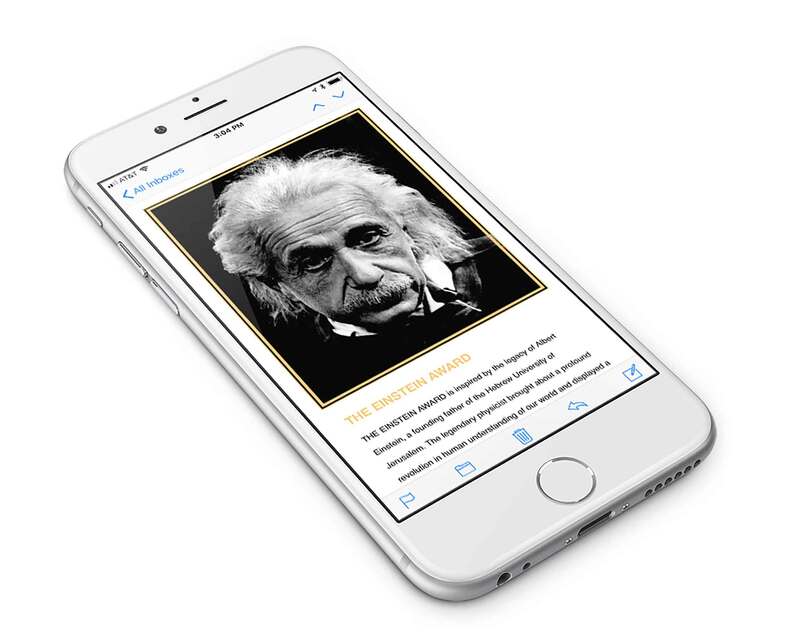 And of course we needed to showcase Einstein’s iconic face (and hair and mustache) along with his signature, the description of the award and Einstein’s legacy as the award’s inspiration. 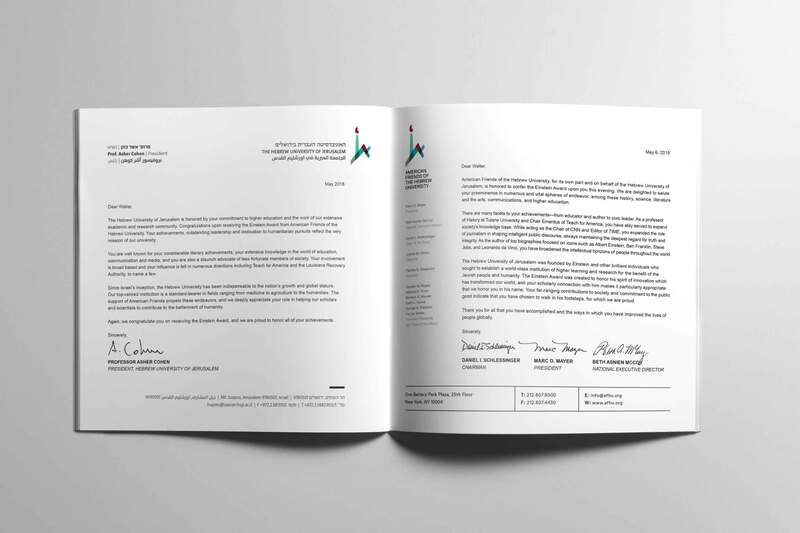 After the invitation mailed, the email invitation was sent to guests which seamlessly took the elements of the print version into the digital medium. 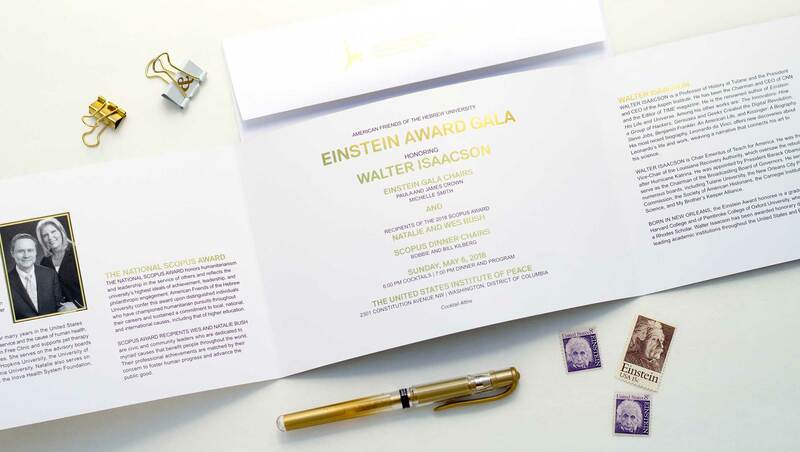 The program for the event was simplified to subtle gold ink on crisp white to match the ambiance and palette of the event’s room.